The Internet Governance Forum (IGF) is an open and inclusive multi-stakeholder forum where public policy issues related to key elements of Internet governance issues, such as the Internet’s sustainability, robustness, security, stability and development. The United Nations Secretary-General formally announced the establishment of the IGF in July 2006 and the first meeting was convened in October 2006. The purpose of the IGF is to maximize the opportunity for open and inclusive dialogue and the exchange of ideas on Internet Governance (IG) related issues; create opportunities to share best practices and experiences; identify emerging issues and bring them to the attention of the relevant bodies and the general public; and contribute to capacity building for Internet governance. 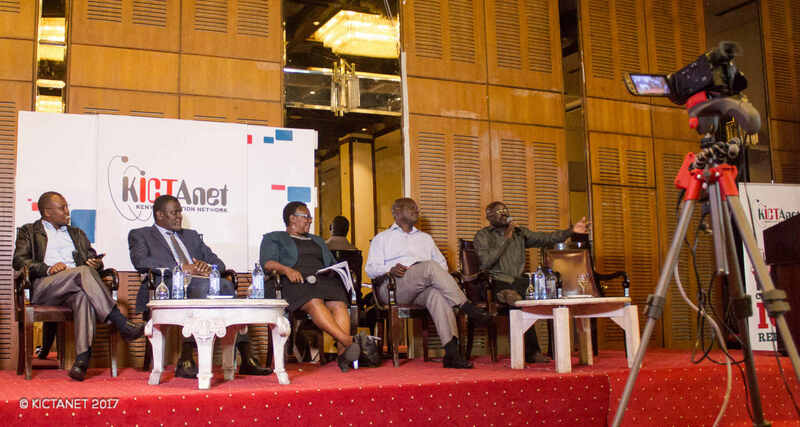 The event brings together stakeholders representing government, the private sector, civil society, the technical and academic community, and the public in an informal setting for policy dialogue on Internet governance issues on an equal basis through an open and inclusive process. This type of cooperative engagement is usually referred to as the multistakeholder model of Internet Governance, which is one of the key features for the Internet’s success. This model is paramount to ensure that the Internet remains sustainable for economic and social development. The forums are localised and their outcomes feed into each other from country to the global level. The outcomes of the country level (Kenya IGF) feed into the regional level (East Africa IGF), continental level (Africa IGF) and ultimately at the global level (IGF). Previously, Kenya hosted the East Africa IGF in 2009 and thereafter, the global IGF in 2011 in Nairobi. This year, the 13th Annual Global IGF Meeting convened by the United Nations, will be hosted by the Government of France and is scheduled to take place on 12 – 14 November 2018 at the UNESCO Headquarters in Paris, France. According to the Communications Authority, Kenya has 42 million mobile subscribers; 30 million mobile money subscribers who made 308 million transactions valued at 1.7 trillion between October – December 2017. During the same period the internet data subscriptions stood at 33.3 million while the number of broadband subscriptions stood at 18 million. Kenya’s current international Internet bandwidth available in the country (Lit/equip capacity) stands at to 3,182.592 Gbps. Further, according to the Kenya Network Information Centre (KENIC) the total number of domains stood at 73,972 with “.co.ke” recording 68,430 domains and “.go.ke” recording 414 domains as at 31st December 2017. Moreover, during the period, The National KE-CIRT/CC analyzed and validated the 4,589 cyber threats and also identified 539 cyber threats that were critical and required immediate response. More importantly, ICT contributes significantly to Kenya’s economy. According to the Kenya National Bureau of Statistics (KNBS) 2018 Economic Survey, ICT has transformed society and has spurred the economy by offering services through online platforms whether in the provision of government services, business and e-commerce, research and transfer of knowledge, and so on. As evidenced from the above statistics, these developments, according to KNBS, led to the value of ICT output in the economy increasing by 10.9% to KSh 345.1 billion in 2017. Given the foregoing, the importance of the internet to the development of the country cannot be gainsaid. Modelled on the IGF structure and principles, the Kenya IGF therefore, is a unique platform for all stakeholders to openly share perspectives and concerns on the key issues that may affect the future of the Internet users in the country and across the globe in general. KICTAnet in partnership with Industry stakeholders, convenes and organizing the Kenya IGF. This has been the tradition since the 1st edition of the Kenya IGF, which was held in 2009. The Kenya IGF has been hosted and convened by KICTAnet in every successive year since then. This year commemorates the 11th Edition of Kenya IGF. In 2017, the event was attended by close to 250 participants from across the country and a similar number is expected this year. The outcomes of the Kenya IGF will feed into the African IGF and Global IGF later this year. The Kenya IGF 2018 shall be held on 19 July 2018 at the Panafric Hotel in Nairobi. KICTAnet works with partners and sponsors to make the event a success. The willingness of your organization to partner and support the event is an indication of your commitment to the development and growth of the internet in Kenya. The theme for this year’s IGF will be “ICTs for Kenya’s Development: Getting Everyone on Board”. The themes are suggested by subscribers on the KICTAnet listserv based on on topics that are of interest to Kenya. A selected team of members volunteer annually to sit on the Kenya IGF Organising Committee, known as the Multistakeholder Advisory Group (MAG). The MAG coordinates and organises the event and also moderates the online debate on the KICTAnet listserv. Similar online debates are concurrently held on industry listservs such as skunkworks and the security lists and also on social media. The KICTAnet is open for subscription at https://lists.kictanet.or.ke/mailman/listinfo/kictanet. Contribution to capacity building for Internet governance. The participants will consist of 200 individuals representing various sectors including: government, the private sector, civil society, the technical and academic community, and the general public. Further, the Kenya IGF will feature an award ceremony for the 40 participants of the 2nd edition of the Kenya School of Internet Governance (KESIG) which shall be held on 16 – 18 July 2018. The School is an initiative of KICTAnet and other partners, to promote awareness and knowledge of stakeholders in Kenya to enable them contribute actively to Internet Governance. Registration for the event will start at 8.30am on the material day and the discussions will run 9am-5pm. A networking lunch and coffee breaks will be provided. It is also expected that a fireside event (evening panel session) will take place followed by a networking cocktail. The event is free to attend. Bitange Ndemo, Fmr. PS ICT, UoN.